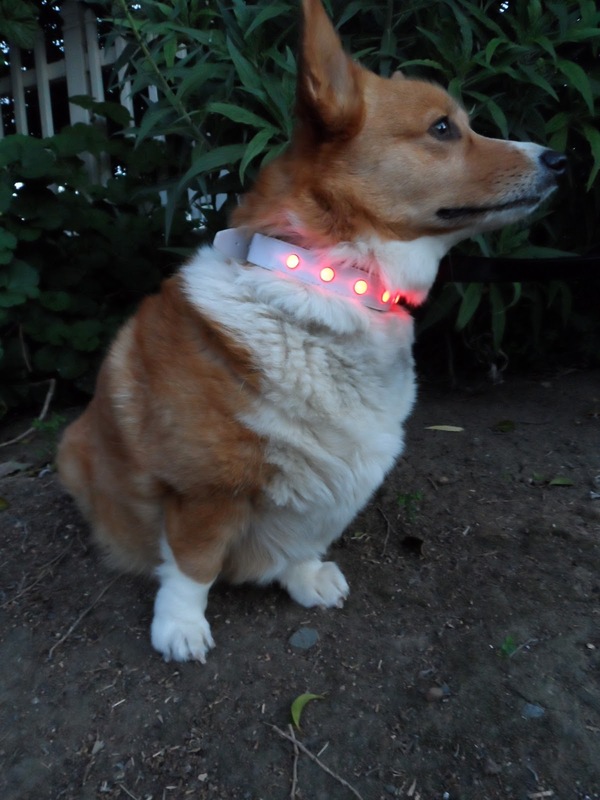 Pup Protector: Light Up The Night and Pin To Win! 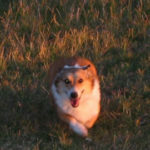 Today’s post is a bit of a departure from the usual fare. It’s the story of a man and a dog whose life together took a drastic, unexpected turn, the indomitable spirit that saw them through the toughest of times, and the decision they made together to choose lightness over dark … literally. 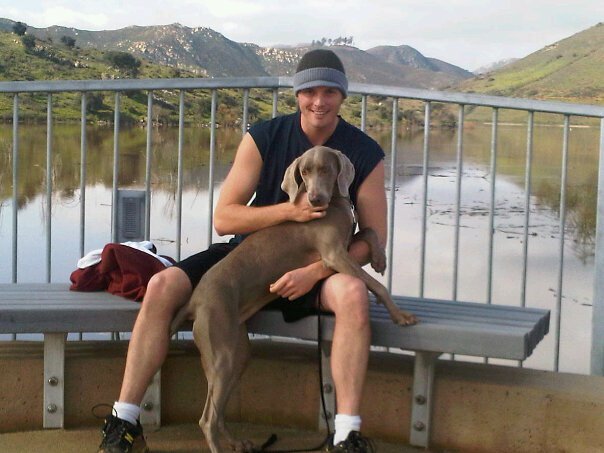 For six years, Trevor Jensen woke at 4:45 AM to walk his Weimeraner Naraku. 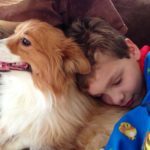 In his mid 20’s, six foot-plus athlete Trevor was in excellent health, playing a lot of basketball, enjoying the company of his first dog and living life to the to the fullest. That morning walk was a shared ritual he and faithful Naraku savored each day. At 4:45 on the morning of September 4, 2009, a car barreling towards them both changed everything. in his hand had irreversibly changed. 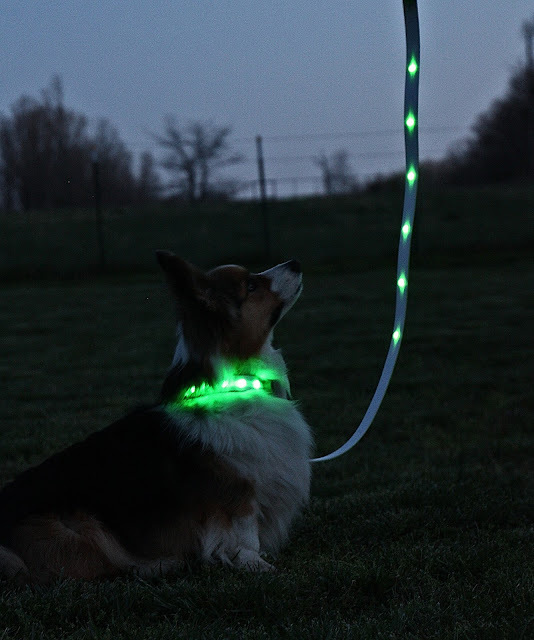 and Naraku would have been far less had she been wearing lighted gear, Trevor funneled fresh passion and purpose into development of a new kind of pet safety product. 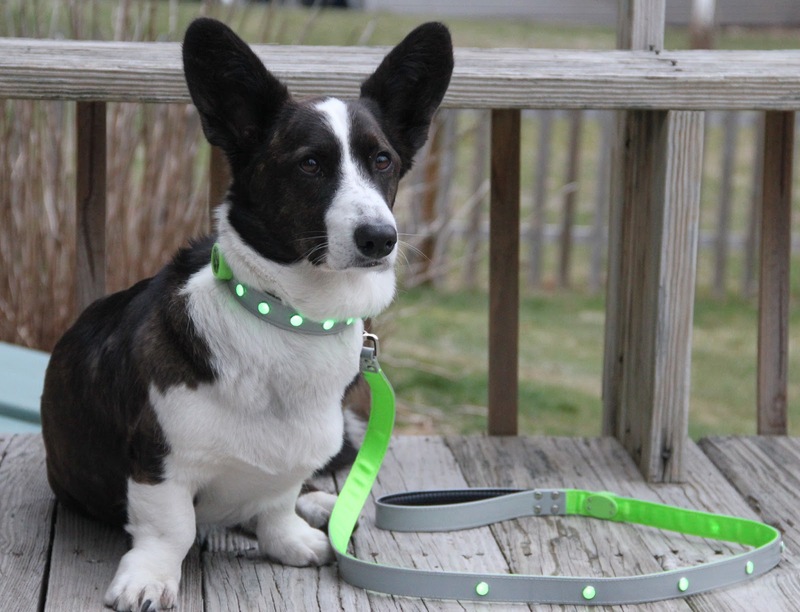 A distinctively stylish, durable, easy to clean, lighted collar and leash. 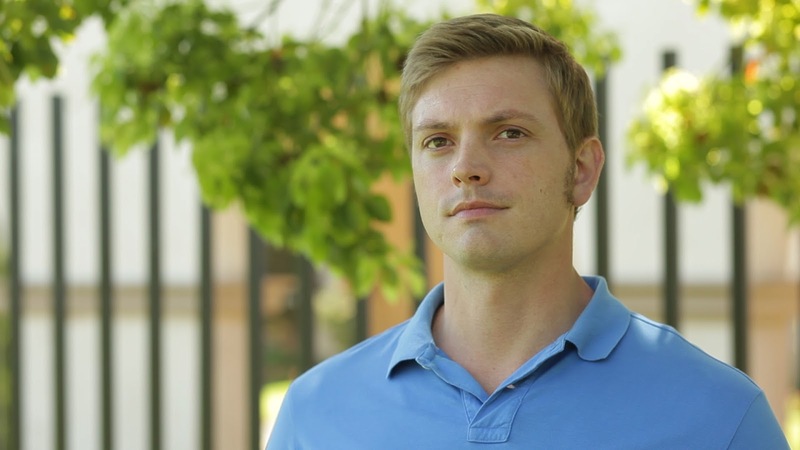 With Naraku beside him, his budding entrepreneurial spirit drove Trevor on through the rigors of bringing an original product successfully to market. 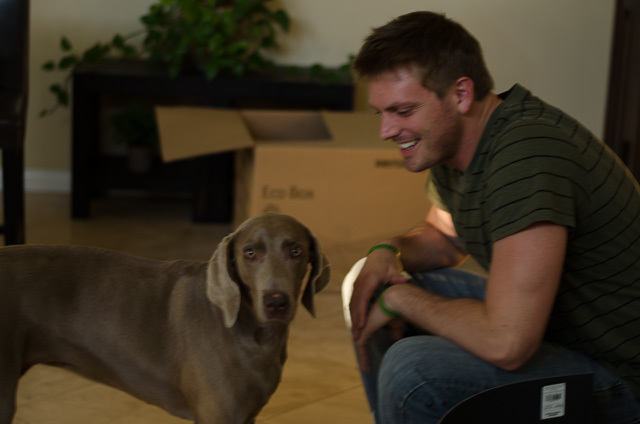 From a burden to a blessing to a business, Pup Protector was born! 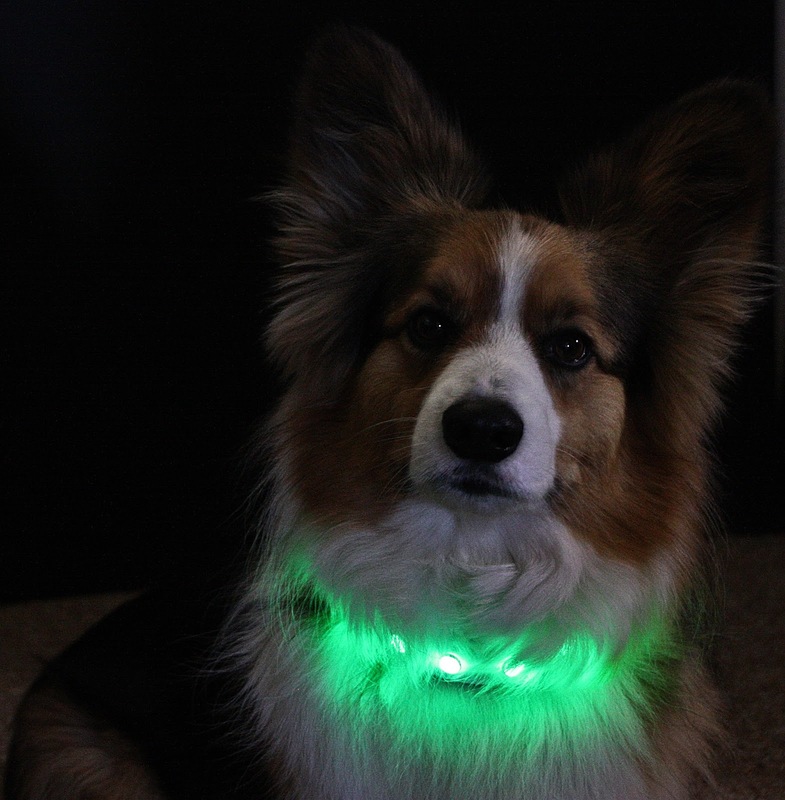 Naturally, Naraku has taken her share of the credit for creation of the Pup Protector. (Very clever video). 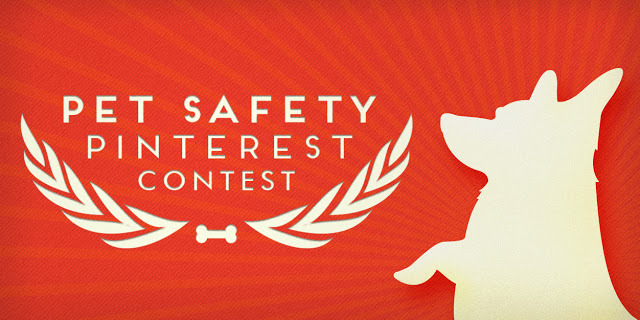 In celebration of Trevor and Naraku’s success story and the importance of pet safety awareness, The Daily Corgi is pleased to announce its first ever Pet Safety Pinterest Contest! 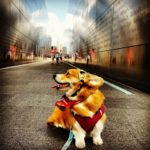 Cool prizes up for grabs include a Pup Protector leash and collar set, customized Daily Corgi totebags and sweatshirts, and a special Zippy Paws super-squeaky Corgi-shaped toy for one deserving dog. Please do NOT use the form below to vote; it is for informational purposes only. Only votes cast via this form prior to May 26th will be counted. Congratulations Trevor and Naraku. You’re an inspiring duo. Corgi On! 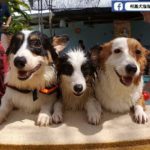 A big thanks to Daily Corgi fans Sidney, Brodie and Darby for graciously modeling their Pup Protector gear (and their collective handsomeness). 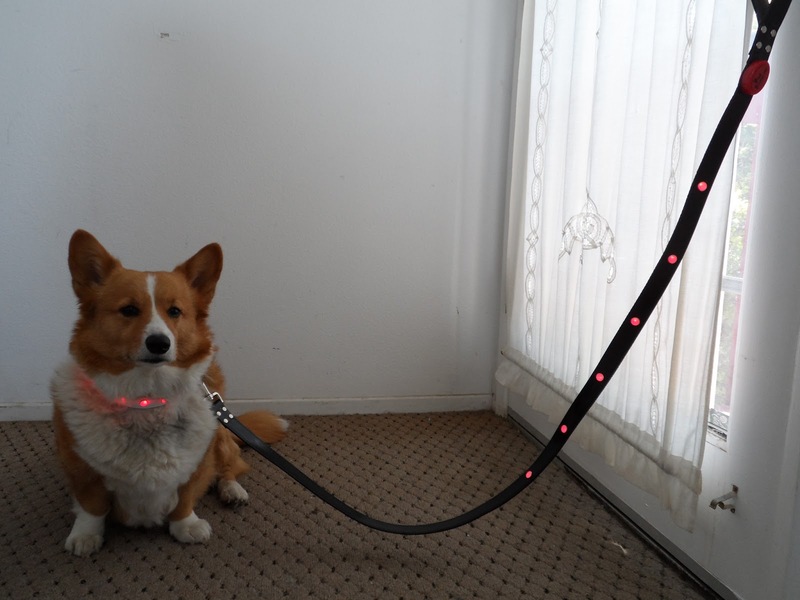 Guys, I promise: the treats are in the mail. Love, Light and Bear Hugs! What a great story, with a good and productive out come. Thank you for sharing it!